Good morning and happy Sunday. 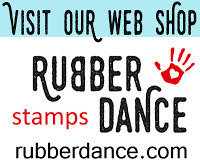 It's time for a new challenge over at Rubber Dance, and this month it's to use an animal stamp. So here's everyone favourite giraffe. This is the first time that I've attempted mail art, but it won't be the last as it was such fun. All of the paints that I've used are from the DecoArt Media Line. I thought it would be easier to 'unstick' the envelope then I wouldn't need to wait for one side to dry. Any other time when I don't want an envelope to fall apart they do so without trying, but this time oh no! Four envelopes later I finally took one apart without tearing it. It's been very carefully (not!) 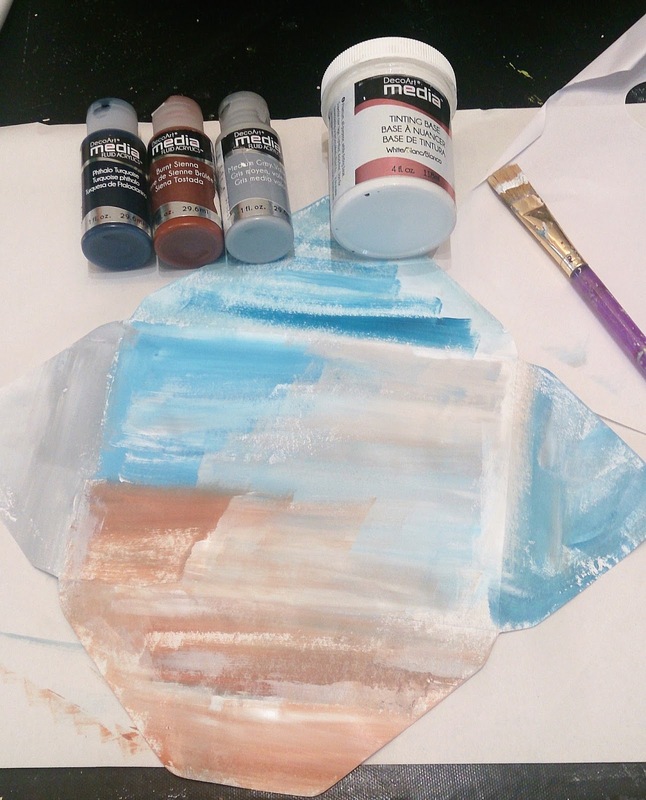 painted with fluid acrylics and tinting base. 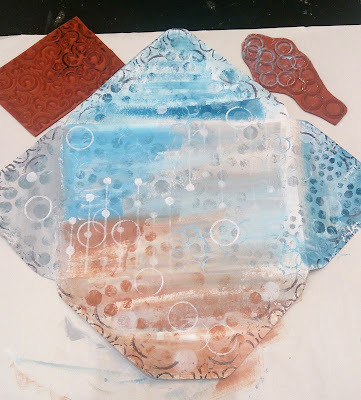 I've added some stamping now with Grungy Swirls and Round in Circles, and also lots of stencilling using the same colours as the background. 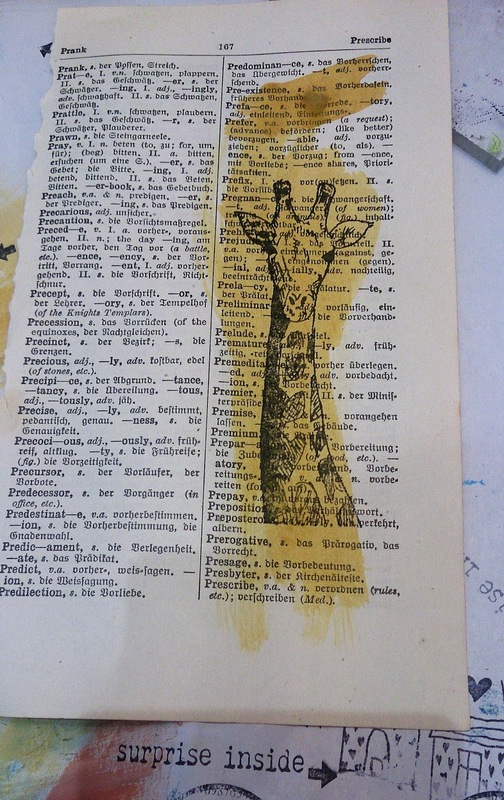 I've stamped Giraffe onto a dictionary page and coloured him in yellow fluid acrylic. 3rd Row Textured Houses have been stamped directly on the envelope and a bit of colour added. The 'surprise inside' stamp is from Happy Birthday. And here's the back! - yes, it did stick back together lol. 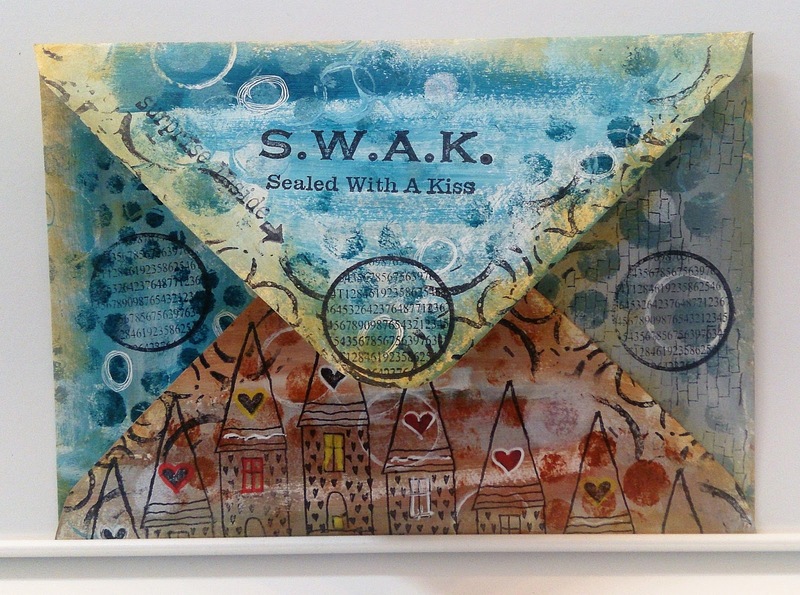 There's more Textured Houses, different circles from Pick A Number, and the SWAK is from Mail Art. I've really enjoyed making this, and if I can get the envelopes to let go I shall be making more! When you visit the shop, don't forget to quote SDFreeShip for free worldwide P&P on orders of 15 Euros and above. 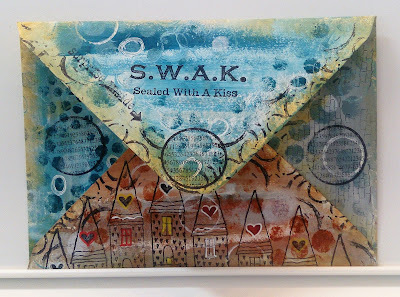 I'm entering my envelope into the Craft Stamper TIMI 'anything goes' challenge. Magnificent envie, Sue! Had to come over from the Rubber Dance blog to let you know. LOVE this! Gorgeous! 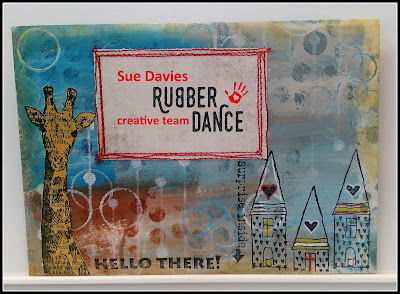 Love the colour-blending on the envelope and fabulous layers of stamping and stencilling. That's a grand looking envelope Sue, I wouldn't want to open it if I were to receive it. Love the addition of the Giraffe he's a might fine stamp. 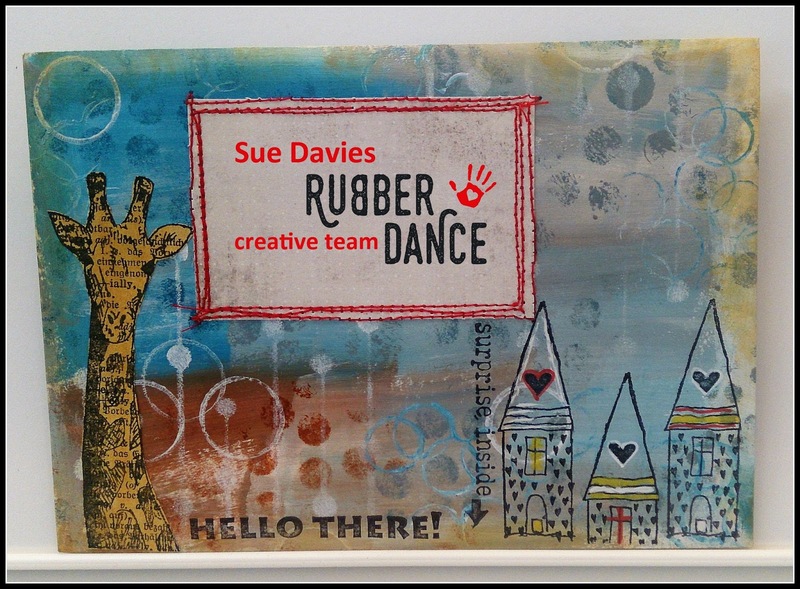 Fabulous mixed media envelope, Sue!!! Thank you for the tutorial. I love the white stamping on the background! It looks so great. Hi Sue, this is such a thoughtfully put together envelope. 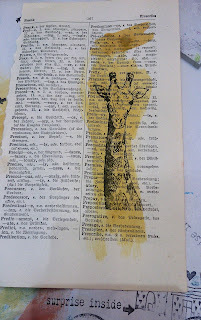 From the words on the giraffe to the row of houses...everything to do with a letter! He is rather adorable isn't he ? So's your envelope ! I haven’t heard of Mail art before, you have created the most unique and gorgeous envelope. it looks like a lot of fun apart from fighting with the envelope, I don’t think I would win that battle! I must give it a try one day, I imagine you need very good quality sturdy enevelopes ?